The holidays make up a month-and-a-half long season of celebrations and parties. If you are considering hosting one of these holiday get-togethers, ensure that you have created a safe and welcoming space for all the attendees.Think of the people who get left out of the holidays and making them comfortable at your social gatherings- whether they are thrown at your home or place of business. 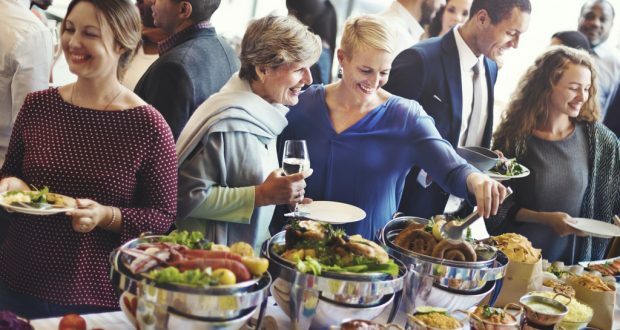 If you have found yourself in charge of planning the holiday party for your workplace, there are many aspects to consider to successfully throw an all-inclusive party. The norm is to provide an array of different alcoholic beverages to inspire co-workers to “loosen up” around each other. For those who struggle with alcoholism and addiction issues, the holidays can be a particularly trying time to maintain sobriety. This doesn’t necessarily mean having a dry (alcohol-free) event but instead steering towards not having an alcohol-centric party. Attempt to add more depth to your party than the standard drink-and-mingle scenarios. Organize games, a gift exchange or put together a contest that appeals to your group. The end of the year is a great time to have an awards ceremony and recognize the outstanding team members that you work with. An added benefit to moving away from an alcohol-fueled celebration is that there will be less gossip in the break room when you all go back to work after the holidays. An essential part in keeping with holiday traditions is copious amounts of food. Decadent treats, cakes, pies and hearty meals are what many of us look forward to as the weather turns cold and the decorations go up. If you are thinking about initiating a bake-off at work or having guests to your home for a holiday meal, it is important to recognize the rising number of food allergies. Before going out of your way to prepare a beautiful meal or dessert to share, inquire if the participants have any dietary restrictions that need to be considered. If one person has a food allergy in the office or at the dinner table, perhaps make it a stipulation that any contributions to the potluck or bake-off must be made with those restrictions in mind. Sharing a meal or food with the people closest to you is a long-time tradition — food brings people together. In order to create an inclusive space, make sure that there is something for everyone. Those with food allergies or who choose a particular diet grow accustomed to just refraining from partaking and not speaking up. To ensure that no one goes hungry at the next get-together, get the conversation going about how to best include everyone at the table. To allow children or not to allow children to your holiday get together? This has been a point of contention for many different groupings of people. If it is a workplace party, it is the most considerate option to invite employees to bring their children and leave it to the parent’s discretion. As a holiday gift, you could offer your employees complimentary babysitting services to allow for them to enjoy their evening without having to supervise their kids. If you are hosting a party in your own home, create a “kid zone” with coloring sheets, crafts and games to play to keep them occupied while the adults socialize. Leaving children out of the holiday celebrations can cause unnecessary stress and anxiety in children, especially in children of recently divorced homes. While those that do not have children may see them as a burden, perhaps they can be convinced otherwise by attending a party full of children’s laughter. Having kids present during holiday festivities allows for us to be reminded of the fantastical world of Santa and his elves. Of course, it is the host’s decision whether or not to welcome the presence of children, but holidays are supposed to be about joy and inclusive happiness for all — not just adults. This holiday season, open your heart and home to others while being considerate of their needs and backgrounds. Spread the holiday cheer by being a thoughtful host and creating a comfortable space for everyone to eat, drink and be merry within. Brooke Faulkner is a mother of two and animal lover from Portland, Oregon.